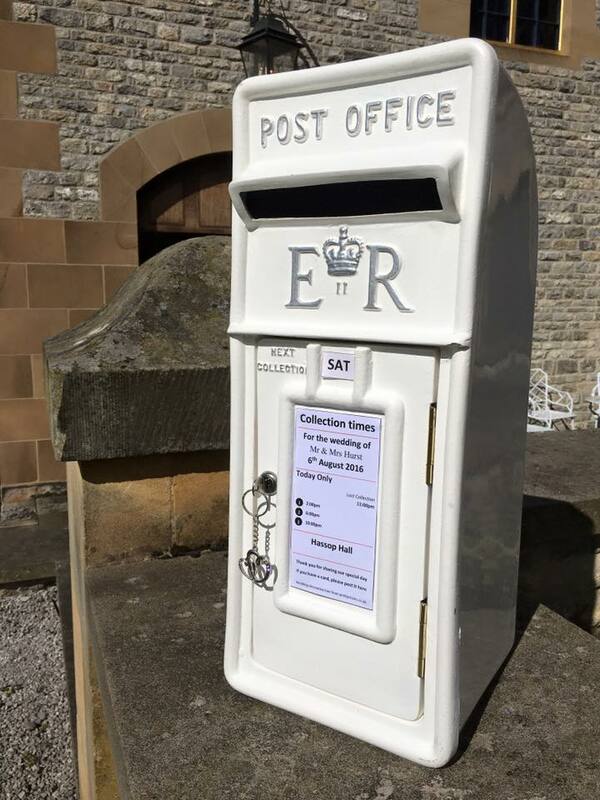 Vintage style replica of a Royal Mail Post Box available in white and also traditional red, makes a lovely feature for your guests to post their cards. 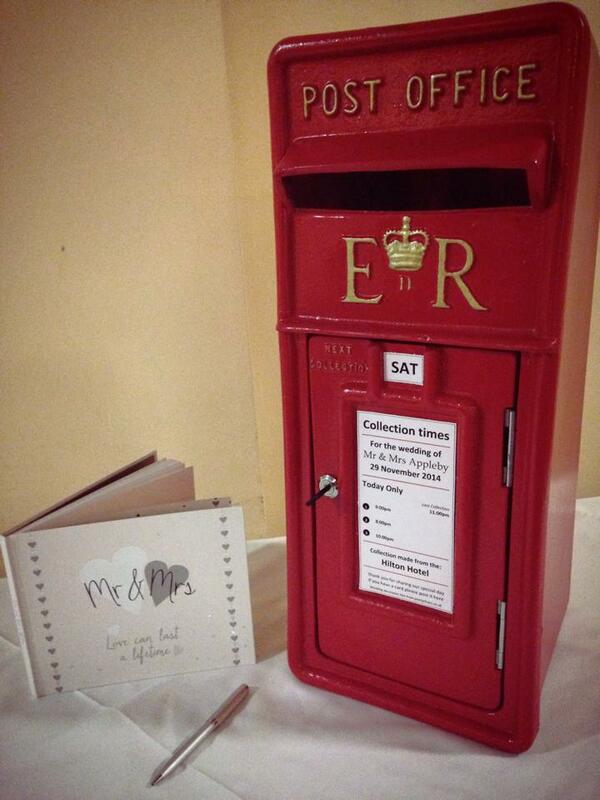 All of our Royal Mail Post Boxes are made from lightweight fibreglass so suitable to display on banquet tables. A safe and secure way to accept all of your guests cards, cash, vouchers and of course best wishes. Size: 25cm x 64cm x 33cm.